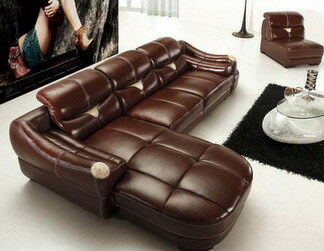 You chose leather for the beauty and comfort it adds to your home, car or office. You spent a lot to get every detail just right, and now you want to ensure it always looks and feels as good as when you first bought it. Good leather should be able to last a lifetime, but as the years go by it can start to look tired, worn and shabby. Let the expert leather cleaning team at Leather Repairs Northampton help protect and maintain your leather’s shine and beauty. Each time you use your leather, dirt, hair and body oils can go deep into your leather’s pores where they can cause damage and leave your leather looking tired. Daily use and direct sunlight can also wear away at leather’s colour and finish as time goes by. At Leather Repairs Northampton, we offer expert leather cleaning and care treatments to erase the signs of aging and help lengthen the life of your leather. Think that faded or worn leather means you have to start shopping for a new sofa, chair or car seats? Let the experts at Leather Repairs Northampton save your leather and your money. You shouldn’t have to live with less than perfect leather, but you shouldn’t have to spend a fortune buying new leather just because of a little dirt or minor damage. Our expert leather cleaning team works on-site at your home or workplace to clean, renew and protect your leather. You don’t have to lug your leather to a repair shop to get the best care or expert leather cleaning. Leather Repairs Northampton brings the repair shop to you. We’ll come to you to provide pre-cleaning care that removes surface dirt and loose dust. We also offer expert deep cleaning to clear dirt and grime from deep in your leather, without harm to colour or finish. If your leather is looking faded or worn, we can also touch up colour and finish so you can enjoy it for years to come. Show your leather the love it deserves. Trust the expert leather cleaning and care team at Leather Repairs Northampton to keep sofas, chairs and car seats in showroom condition. Join the many clients who won’t trust any other team with their leather and call today. You can request a free quote or book a visit from our experts now.